How do you display your credentials? Dr. Sandra Parker was my professor and academic adviser during my undergraduate degree program in therapeutic recreation from Marshall University in Huntington, West Virginia. I first met Dr. Parker in the fall of 1999. I had scheduled an appointment to meet with her to discuss getting started in the program. Dr. Parker is the author of Activities for the Elderly. 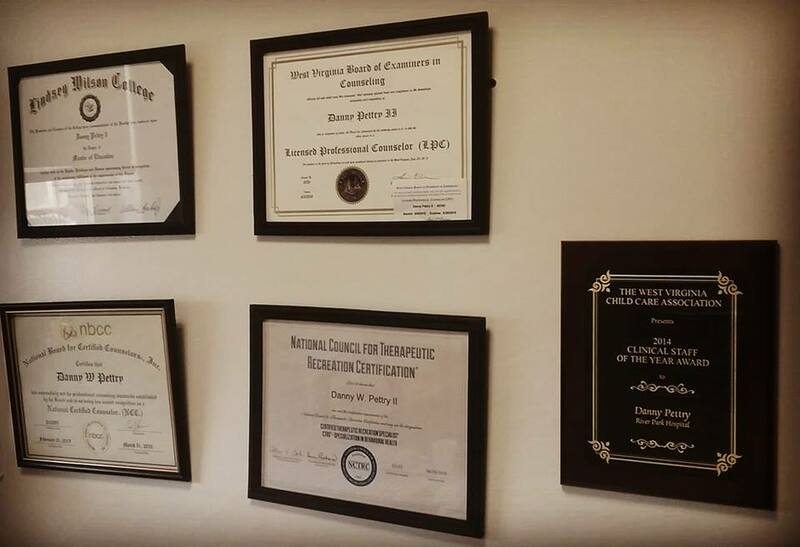 Dr. Parker had a wall with her degrees, certifications, and awards. I was looking over her degrees in her office once and I can vividly recall her once telling me, you’ll have a wall like that one day too. At the time, I thought, maybe Dr. Parker thinks I’m going to go on and get a Ph.D. I didn’t ask her, but I believe that is what she was hinting at. I was visionary. I could vision seeing my B.S. degree and my CTRS certification on a wall in my head. I knew in 1999 that it was going to happen. I didn’t get my B.S. degree until 2002 and my CTRS until 2003, but I visioned it three years in advance. I’m proud of my little wall. B.S. in Therapeutic Recreation from Marshall University (Huntington, West Virginia). How do you display your degrees, licenses, and certifications?